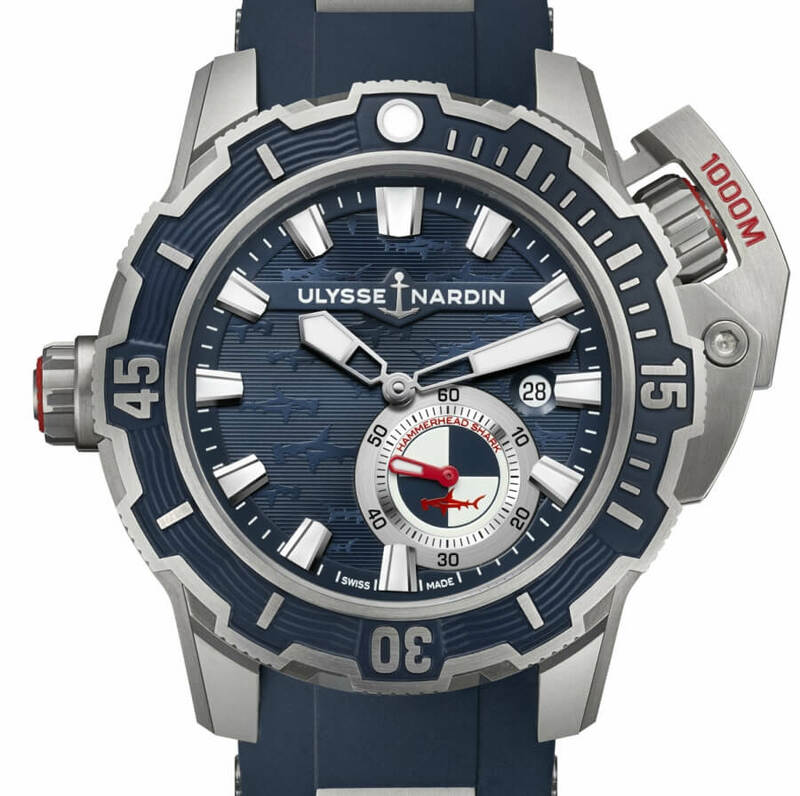 Ulysse Nardin’s links to the sea run deep. A recognized pioneer of watchmaking innovation since 1846, the Manufacture’s early renown was built on the peerless precision and reliability of its marine chronome-ters – essential navigational instruments that helped seafarers determine longitude by means of celestial navigation. The Manufacture is equally renowned for what it has achieved underwater, with its solidly built and unabashedly masculine Diver collection. 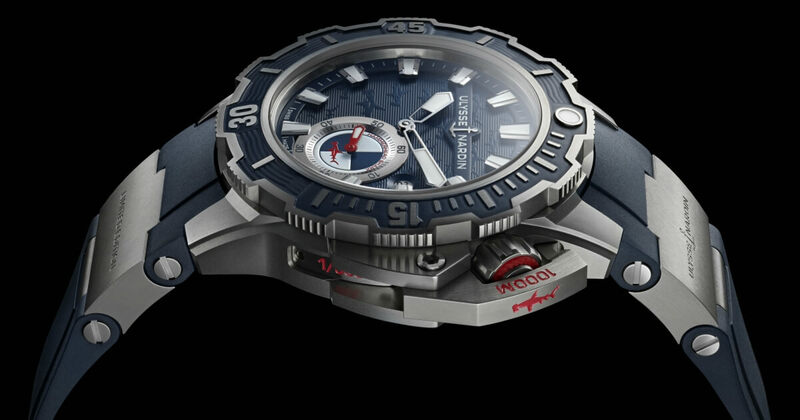 Like its immediate predecessor, the Diver Deep Dive ref. 3203-500LE-3/93-HAMMER is powered by the in-house caliber UN-320, which has a patented silicium lever and escape wheel configuration. The bal-ance spring is also in silicium, a material Ulysse Nardin first introduced to Haute Horlogerie. 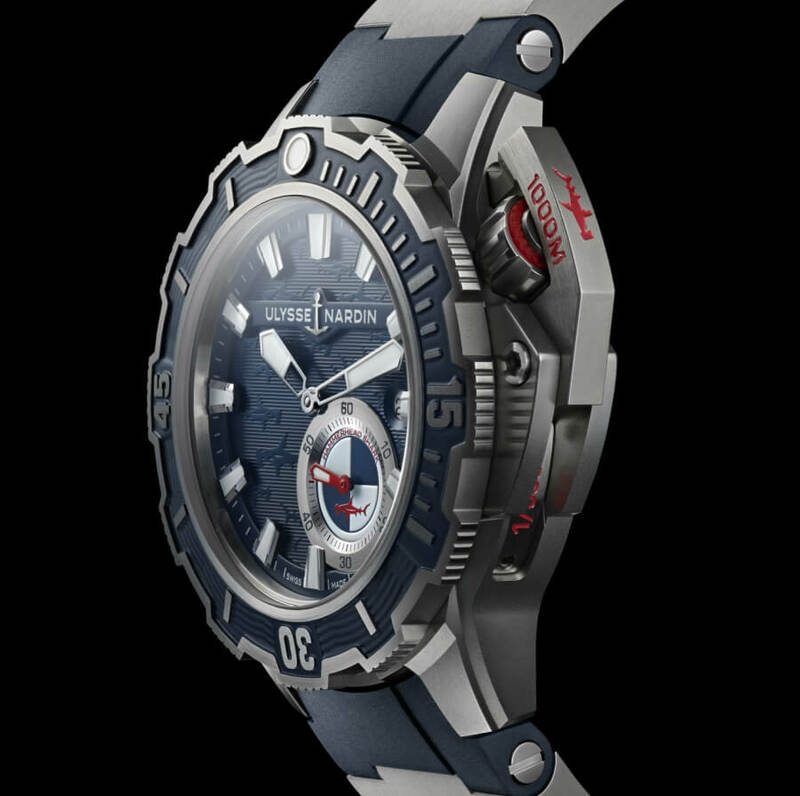 The power re-serve is around 48 hours and a water resistance of 1000 m.
The case is titanium and has a 46 mm diameter. 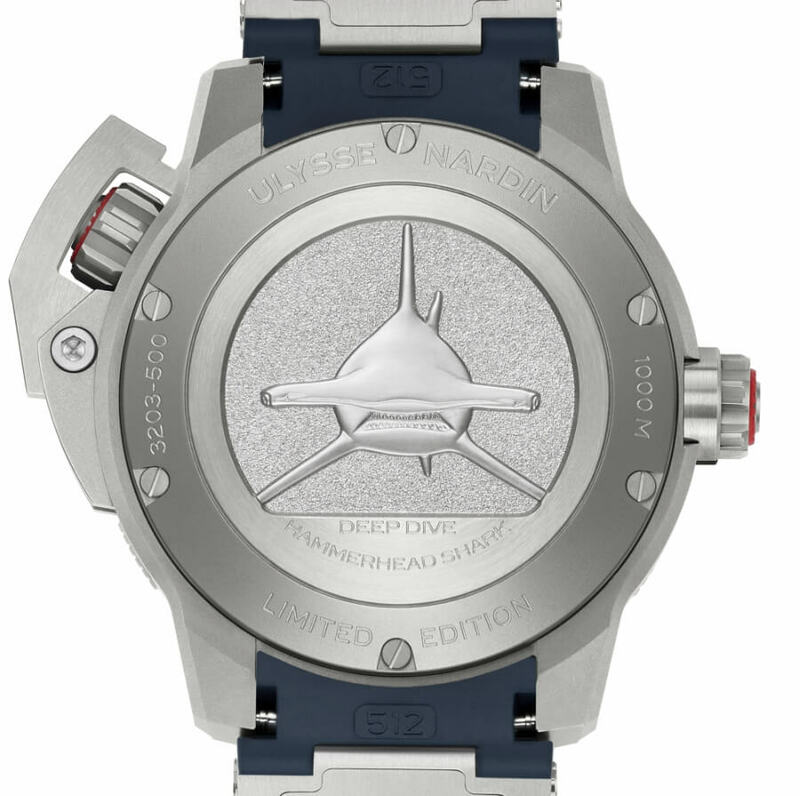 Along with 1 km water resistance — the world record diving depth is 701 meters — new technical stand-outs on this limited edition (300 pieces) masterwork include a removable titanium guard on the crown at 2 o’clock and a helium release valve at 9 o’clock, for deep dives of prolonged periods of time or under satu-ration. The rubber strap is a first: it has an expandable element that adjusts to changes in wrist size dur-ing dives, caused by the compression of your neoprene diving suit. The robust, angular-shaped case is in titanium, with cut-edged horns. The large bezel has 12-notched teeth for easy manipulation, even with diving gloves.